His directive, issued to Moreton Bay Regional Council in the city's north, flies in the face of the overwhelming scientific consensus that average global sea levels will rise by 2100. For several years, governments across Australia and the world have factored in a sea-level rise of 0.8 m into their coastal planning schemes. The most recent evidence presented by the Intergovernmental Panel on Climate Change suggests that this may even be too conservative. Yet as certainty over future sea-level rise increases, planning protections are being wound back right across Australia. Since winning the 2012 Queensland election, Campbell Newman's government has joined New South Wales and Victoria in removing sea-level rise from state government policy, and is evidently now pressing local governments to do the same. The previous Queensland Labor government had introduced a detailed Coastal Plan, requiring local governments to plan for a 0.8m sea-level rise by 2100, and featuring detailed mapping of the areas most at risk. … we believe local governments are the best placed to make planning decisions according to their local circumstances and their communities and we are empowering them to do so. 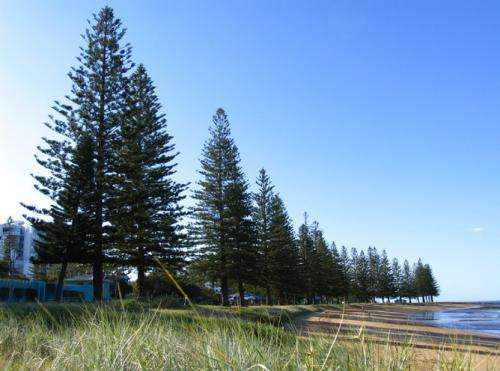 Moreton Bay Regional Council made the decision to do just that, incorporating a projected 0.8m sea-level rise into its draft planning scheme. This decision, while attracting the ire of some local residents, was deemed necessary by the Council to protect themselves from a clearly foreseeable liability. Each coastal local government should proceed to determine the extent of coastal hazards in the manner it considers appropriate and plan accordingly. …must reflect only proven historical data when dealing with coastal hazards such as storm tide inundation and erosion. It is unclear whether other coastal councils will be given the same directions, but this decision may signal a broader trend of preventing local governments from planning properly for future sea-level rise. Legally, Moreton Bay Regional Council might be able to defend itself against claims of negligence by pointing out that a minister ordered it not to include rising seas in its planning scheme. But the situation is far from clear. Under negligence law, a council may still potentially be held liable for failing to consider the impact of sea-level rise on a particular proposed development, despite the planning scheme being silent on the issue. Councils thus find themselves in the awkward position of facing appeals from developers if they refuse a proposal on the basis of sea-level rise, but also facing negligence claims in the future if they approve a development that is later affected by rising seas. New planning legislation will be introduced in Queensland next year, which looks set to remove local governments' liability for anything done in complying with a minister's orders. But until then, local governments are in an extremely difficult position. Even if local governments are let off the hook, the state government could still face negligence claims. The weight of scientific evidence, coupled with the previous government's efforts to compile sea-level risk data for the entire Queensland coastline, would make such lawsuits very difficult to defend. Under Queensland law, government's actions (or non-actions) are not considered unlawful unless "the act or omission was in the circumstances so unreasonable that no public or other authority having the functions of the authority in question could properly consider the act or omission to be a reasonable exercise of its functions". But a failure to consider overwhelming scientific evidence may well meet even this very high threshold of unreasonableness. Even if liability is disclaimed even further, the problem is not going to go away. Experience with past natural disasters such as the 2010-11 Queensland floods shows that, where homeowners are un- or under-insured, governments and taxpayers ultimately end up footing the bill. Buying insurance for actions of the sea is already notoriously difficult, and may become even harder as coastal development continues. Governments no doubt have challenging decisions to make, and planning for future sea-level rise will not be universally popular. Yes, including sea-level rise may reduce property values and increase insurance premiums. But deferring action will mean that more properties are built in hazard-prone areas. The time will eventually come when governments cannot ignore this issue, and by then there may be even more properties with reduced value and increased insurance premiums. Planning for impacts now will let governments spread the huge cost burden of dealing with sea-level rise over time. Waiting will just make the problem even more expensive. Oregon is being hammered with their wildfire insurance costs. Florida is now self insured since the insurance firms have pulled out of the state. And, Florida's insurance fund is so depleted that if hit by a major storm, the state faces bankruptcy. Future threats should never be viewed through the lens of denial. In an abruptly changing climate, you have to be prepared for everything in order to survive. And, I mean everything.